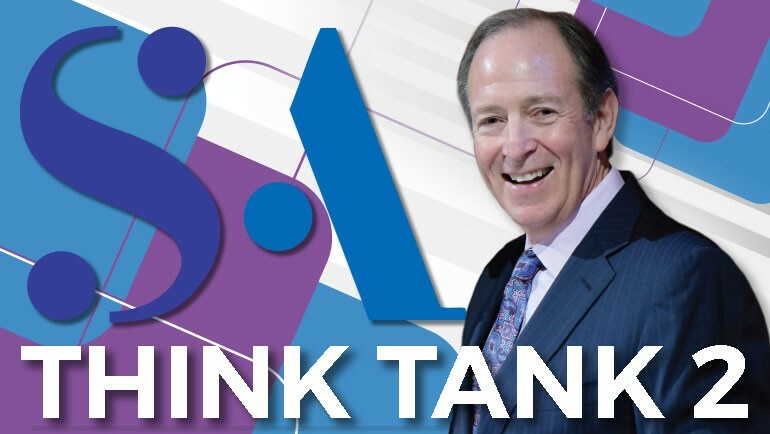 “We’re Not Selling Print, We’re Selling Security and Service” – Sandy Alexander President & CEO Mike Graff provided insights into the latest digital technology applications as part of Digital Print Think Tank Two hosted by PIA on July 26, 2017, in New York City. Last month, PIA Alliance hosted a “Digital Think Tank” in New York City that brought together 150 equipment manufacturers, their customers, and other printers to talk about the latest technology and trends in digital printing and the industry in general. The morning comprised presentations from sponsors who each shared their vision of where the industry is, where it’s going, and how inkjet equipment is helping drive growth. One highlight of the event was a “printer panel,” moderated by Printing Impressions’ Mark Michelson. 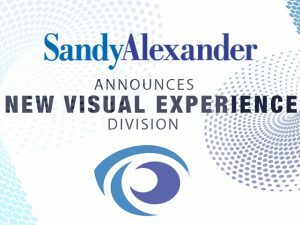 Below are excerpts from the discussion with Michael Graff, President and CEO of Sandy Alexander. 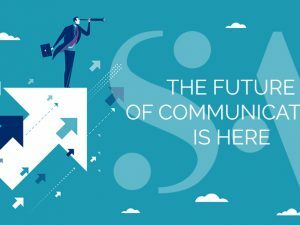 Where do you see your businesses in 3 years? Mike: We haven’t seen [print declining] in the degree everyone that talks about. What we have noticed is that when people do choose to print, they are focusing on the impact of the print as opposed to just getting a piece out. Now every client wants to talk about embellishment, high impact, special effects, whatever widget is the discussion of the day, that’s what they’re interested in. Every salesperson and pitch we go out on, we get no reaction to the normal stuff we’re here talking about today. 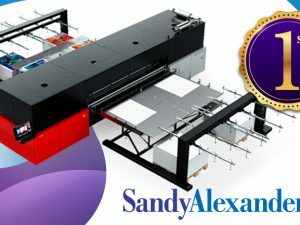 We can talk about the future of printing in a digital circuit that is four years away from reality and probably we’ll never use, that becomes the new thing that will be blowing us away and that really becomes significant. So what I think is gonna happen in the course of the three years in print will probably continue to diminish, and the quality aspect and the impact of people who do choose to [to print] will be the better product. And I think the variability of stock, and what you’re printing on, and the method of printing, and the finish…those are the things that are going to drive the actual product. I think the interaction with the client is going to be an absolute, online, virtual touch list relationship once the relationship is established. And I think the reaction will not be what we think it is, and no one will be bringing bagels and cookies to any client…bad news for the bakers. Offset technology…what advantages do you see in your company with combination offset and digital that you have over somebody who just is pure digital? Mike: Well that’s a relatively easy one…one of the things we use as a differentiator is our ability to control color. So being able to bridge those two technologies and have the output look comparable opens up all sorts of options for us. 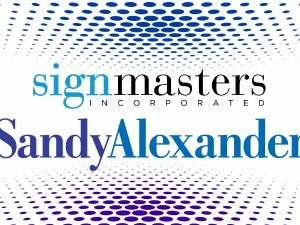 So instead of running just through the digital press, we’ll do a personalized cover and do a static text or vice versa and you can add that to your opportunities for the client. becomes the problem in the market. So the answer, or our answer certainly to that, is a technology investment. They can’t go and buy a 40-inch inkjet, so they’re gonna run the inefficient printer out of the market eventually. For all of us here the good thing is, and certainly for the suppliers, is the technology is going to be the equalizer in the marketplace. There’s no way for us to stop bad pricing practice, except being better than they are using technology. Have online printers (i.e. Snapfish etc.) have any effect? Mike: Not on us… let’s put it this way: not that I know of. But certainly I’m sure there’s some work disappearing, this and that, but we’re not selling print, we’re selling security and service. Are you thinking about 3D Printing at all? And if not what other things would you like our vendors to get into that you think you could offer your clients? We have a 3D printer, and we used it nominally. And the answer to the question, after our analysis, for now, that’s not something we need to pursue. It’s kinda fun when we have a party to make little widgets for people. It’s a great technology, and I know some friends in the printing business who are doing an unbelievable business with it, so I’m not negating it I’m just answering as far as our company goes. If I can speak to the vendors as a group and I’ve gone to a lot of different seminars over many years, it’s resounding: workflow. The ability to create a workflow that’s user-friendly & adaptable to how the business has become. I don’t know how everyone else feels, but I was overseas at a seminar with international printers from a multi-billion dollar shop down to a 14 million dollar shop, when they got on that subject it’s all we’re talking about: being able to get all the different technologies into some sort of automation and efficiency…and integrating. We have two times the amount of production and customer service people. We have to put a whole department in called customer service that we never had before because there are so many. Things are moving so quickly and it’s still semi-manual.